Amber Woodburn is a Doctoral Candidate in the Department of City and Regional Planning at University of Pennsylvania (amwo@design.upenn.edu). 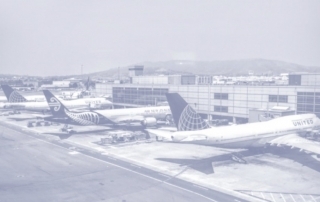 Manage Flight Demand or Build Airport Capacity? Airports can manage air traffic congestion in two ways: 1) add infrastructure or 2) manage flight demand. The environmental and economic implications of these options, however, often conflict. New runways have significant financial and environmental costs, but they can also stimulate economic development and increase a city’s appeal to businesses. Managing demand saves construction costs and encourages fuel efficiency but may limit opportunities for regional growth. Our research finds that airports in the US underestimate or ignore these tradeoffs and, as a result, frequently fail to consider managing demand as an alternative to building new runways.